Ari Jaaksi left Nokia to take charge of HP’s webOS development, and there’s been a low rumble of speculation that his MeeGo-soaked Nokia roots might result in support for Qt. If you might recall, Qt was the open source programming language of choice for Nokia’s Maemo mobile operating system, and continued to be after it’s merger with Intel’s Moblin into the MeeGo of today (which Nokia has since practically dropped in favor of Windows Phone 7). So would Jaaksi’s hiring by HP signal an intent to adopt Qt? No, if Jaaksi’s comments on his personal blog are to mean anything: “Some people commented to my last post and suggested that we'd take qt as a part of our tool set. I don't see that happening. WebOS is much easier.” He goes on to discuss how awesome Ares and PDK development are, extolling the virtues of familiar web technology tools. Jaaksi also says “Other tools would just make things more confusing and provide no real added value.” Subtle, if unintentional, dig at the support-everything-under-the-sun-please-make-apps-for-our-platform BlackBerry PlayBook? Maybe. Frankly, we’re glad to see HP sticking to their guns with webOS development. Ares web tech apps and PDK native development make a powerful combination where lightweight apps can be easily built with Ares and heavy stuff with the PDK, and soon enough you’ll be able to combine the two in hybrid apps to cover the middle ground. 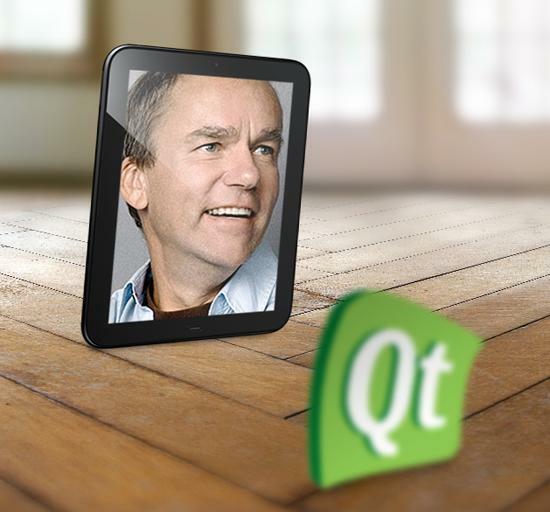 There’s no place in that spectrum for a standard like Qt, even if it has been known to run on webOS.